I’ve noticed many people quitting lately. I’ve come across boxes of business cards from conferences that happened years ago and realized many of these people aren’t around anymore. Well, I’m sure the people are around, but their online persona has disappeared. Dozens of more people show up everyday and it makes me even more desperate to reach out to the people who have been here from the beginning…Angela, Colleen, Chrysta, Bree, Brittany, Sarah, Beth, Shannon, Dawn, Mandy…I know you all by name and seeing your email address in my inbox is a constant comfort to me that things haven’t changed that much and that people do stick around. I’ve realized that while I have been plodding away with all of this because it is so much of who I am, I have been doing it with blinders. Unless something or someone stands right in front of me and says “LOOK AT ME. LOOK AT THIS.” I often miss it. It’s not that I don’t care, because I genuinely do, there are just some days it feels like such a fight to keep going myself. No matter how long you have been around chances are you have noticed a change. People are commenting less, reading less, clicking through less…but they certainly aren’t caring less. I have kept all of this up because first and foremost it is for me, for my girls, for my own emotional health. In all of the surviving I have been doing over the last several years I feel as though I am suddenly coming out of a dense fog surrounded by thousands of new voices and I’m convinced that each of them is more talented, more resonating and more entertaining than my own. Five years ago I would have felt an overwhelming desire to quit. Today I’m grateful to still be numbered among them, noticed on occasion and I will be eternally grateful that I have been able to help a handful of them. I know there are things I need to upgrade and update. All this mobile theme talk…mine is practically non existent. Photos don’t show up. *shrugs* Not everyone cares that my site is easily navigated on the latest and greatest phone. They care that I show up on occasion and that I continue to fight through the difficulties I’ve been dealt. That’s what I care about too. Technically speaking the tools I’m using to put my words out into the world are outdated and certainly not geared towards prime traffic or major exposure. But my heart, my heart has grown on these virtual pages. I feel as thought I don’t belong to much of anything and yet I have been blessed to be a part of everything. I know so many of you. I wish I knew so many more of you. Writing has become the infrastructure that holds me up through the darkness. It may not be eloquent, properly punctuated or executed but they are all tiny threads that combine into one unbreakable rope that keeps me upright. To those of you who are just starting to find your feet on this path so many of us have been on for so long? Welcome, I hope you find all the joy and wonder I have found in my time here. I’m grateful to be here with you. To be counted among you as part of this social network that has brought us together like never before. Nothing should be scary anymore, nothing should be impossible because suddenly we have access to thousands of men and women who have been were we are or are headed where we too are going. I know people are still out there reading…the numbers tell me they are. Even if they weren’t I would still keep writing because maybe someday someone will stumble across them when they need them most. Like Hande in Turkey who is pregnant and scared. Or Vinessa who is going through invasive treatments to get her baby here. Or Erin who is scared that her mental illness may pass on to the children that she too is so desperately trying to get here as well. I never imagined I would have landed here. Keep it up, whatever your part is here on the Internet, because you matter. You matter to me. From the lurkiest reader to the most engaged, from my very pregnant best friend I talk to daily to the girl I hugged that one time in an elevator. Completely unrelated, a photo of my very chubby baby pinching her own pinchable parts and poking her bellybutton. It just feels strange not to include a picture when I have so many. blogher advice from a crotchety old timer. Hi. That picture almost made me hop in my car and drive to Indy. I’m glad you’re here. I started reading you SO long ago and I’m not going anywhere. @pgoodness, You’re one of the best people on the Internet, I hope you know that. And this baby…she’s worth the drive. I’m so glad you wrote this, because this has been heavy on my heart lately. I’m just not feeling it lately (my own writing, that is), and spend a lot of time wondering what’s the point of it all? You reminded me of why I did it in the first place – it soothes me when i write without overthinking, and I can look back and see all the precious stories and photos of my children that would never exist otherwise. I’m also so eternally grateful for the wonderful people I’ve met through blogging – the ones far away and the incredible group of people right here in Indy, including you! @Angie @ Just Like The Number, Right back at you. Breaks, they need to be taken. And you need to stick around for a long long time, for as long as there is Just Dance and cupcakes in Indy. You…you are just awesome. I’m so glad I know you. I don’t know which category I fit into, but I’ve been doing this for a year now and I am not going anywhere. I am commenting less, trying to maintain some sort of balance between live life and online life. But your words always matter to me. I don’t know who you think is more eloquent or resonant, but I do know that I nod my head and cry real tears or grin like a maniac when I read your words. I also know that I curb my potty mouth(which is freaking hard, yo) to comment here and I nominated your beautiful self for a couple of Bloggies. Which means that you must be doing quite a bit more than a little bit right. @Joules, Oh shucks. And it’s true that commenting is the first thing to go, but personal balance is so important. You should also know I have a plugin that will curb your potty mouth for you. This is a ****ing test. @Joules, I will say it doesn’t edit in my emails though. Heh. Your perspective helped me tons through my sister’s infertility, and all those procedures she needed. I appreciated your advice (I brought donuts to the HSG!) and beyond that, just adore you. And oof. Vivi’s belly. Love it. @Sarah, Thank you, and thank you for being there for your sister, even though I don’t know her, I know how important it was to her to have you (and the donuts) there. @Aly, I have a special place for the people in my warm fuzzy folder. I’m not sure what category to put myself in, I’ve never liked categories though so that may be why. I’m certainly new and I certainly lurk. You have made me feel until I cry. Sometimes I comment sometimes I don’t. Your site feels comfy and homey, no flash needed. Thank you for being here. @Jamie, Oh thank you, and it’s been fun to see your site grow as you’ve participated so much over the last several months. My path to you came through several different blogs that eventually led me to Babble while I was pregnant. I’m a mostly lurker, occasional commenter, and new blogger myself. Your blog is an inspiration of words and pictures. It’s truly a pleasure to check in every day. Your girls are beautiful. Oh that baby chub! Addie’s smile! I love it! But the kicker for me – I’m a veterinarian – specifically a surgeon for our local humane society – and you adopted 2 ADULT kitties! And one had special needs – that just melted my heart. So many people overlook adults when they’re thinking of adopting. Those 2 little furballs sure are lucky! Don’t ever stop writing and taking pictures! @Tina, Oh thank you Tina, I never knew I’d win so many hearts by taking in these two cats who are currently marking up my windows with nose prints staring at squirrels. It’s just one of those things, (my sister is a tech at an eye care hospital) you buy local and you rescue animals. I would totally fall in the lurker category on almost every blog I read. I definitely care (or I wouldn’t read) but I don’t know 99% of the blogs I read in real life. Plus I read on my iPod a lot, and (lazy of me I know) it’s hard to comment on an iPod… so mostly I don’t. But I am here! And I am often behind but I do eventually read every word of the 50+ blogs I follow. @Kaycee, That’s really admirable. I read on my phone a lot and am guilty of not leaving comments as well, but I use facebook like buttons voraciously. @Casey, They should make an easier way to comment on iPods and phones, then I totally would more often! Posts stay “unread” in my reader for awhile if I want to comment on them but then if I haven’t had time on a computer to do it I usually mark them read again after about a week. I figure I am too far behind to comment at that point. I’m late to the party Casey, but I read this yesterday on my phone. I had to come back and comment. First, you’re amazing. I read every comment and your response. You know your readers. You care about them. It’s obvious. Second, I wrote yesterday about something real and scary and SO PERSONAL. And I got more information on Twitter about my son and his “things” than I’d gotten out of months of therapy. There’s just something about this community and it’s ability to help, share and inform. It’s awesome and you, my dear, are among the best. @Angi, Well thank you, and I’m so glad that you were able to have such a breakthrough yesterday, no sense in going through the hard stuff alone. The hard part for me, or I guess the easier way to lurk, is to be a relevant commenter. At times it feels like I would just be adding to the stock-photo responses and just seem like a follower. I appreciate your blog and will definitely work on commenting more relevantly more often. Thank you for continuing to write and share your beautiful family and life with us. @Gamanda, Thank you, and to be honest if I can’t think of something profound and relevant to say? I won’t say anything. I just don’t think “NICE POST!” is very genuine. Sometimes I’m at a loss for words, know I need to say something but only one word comes out. I appreciate every post, more than you imagine. Your point of view reassures me that for every dark time, there is a bright spot just ahead. Your honesty is tremendous. This of course goes without saying, but I also appreciate every Vivi chub monkey picture. Lurker from Mozzi belly times, and occasional twitter conversation. I found you when my depression was at it’s worst, and have never been more grateful. Also, I would totally drive 2 hours to see those gorgeous girls, and have you take my little’s pictures. Vivi is so stinkin’ squishy, I can’t stand it. @Kirsten, There’s a plaque on Vivi’s wall that reads “and mozzi makes four” I sometimes forget that this baby went by Mozzi for so long. I would love to take your littles’ pictures. Thanks for sticking around doll. Um, this post is awesome and I needed it. Life gets so busy that it’s easy for me to go “Oh, no one CARES about my mundane day, I don’t need to BLAWG about it.” (I’m southern, remember.) But people do care, at least the really good ones. Thanks for the reminder. Also, OMG, Vivi. She’s so squishibly squeezable even SHE can’t resist herself. @Jen L., Oh I care. I would notice if you were gone. Believe it or not I WOULD TOTALLY NOTICE. Keep up with your darlin’ suthin’ self. I couldn’t comment until I read through every single comment and now I’m all fuzzy and warm and have nothing to say. Except that I too have noticed lots of people going and coming… and going away again. And it’s good to have friends that will stick around for a long, long time. I’ve been reading for… a long time? At least 3 years. Probably more like 4? Can’t remember. Anyways, I lurked for a long time before I commented but so glad I did. Indy is much warmer and fuzzier now because of it. Here’s to the many awesome years ahead! @A different Casey, Casey’s of the world UNITE. Your comment gave me goosebumps, so thank you. Thank you so much. Oh my, have I been blogstalking you for four years now? Pretty darn close, anyway. 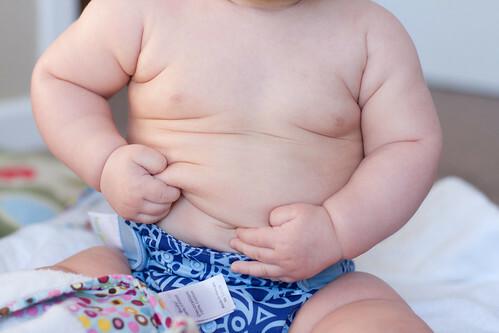 By the way, your chunk is so cute. I <3 BumGenius Jet Setter. I own two now. Yay sales! @Emily, I have two of each of the Artist series too! NEED MOAR PATTERNS! Ah, I know, cloth is addictive! I bought Albert in the new Freetime all in one, and if I had a girl, I’d be all over Lovelace. I might just buy it anyway. I’ve been blogging a while myself and I know what you mean about folks coming and going. I actually just posted yesterday that one of the main reasons I keep blogging is because of the friendships I’ve made through doing so. Anyway, I always love your words and aspire to your quality of photography. Your photos simply make me swoon and I’m so glad to have met you and that you are still here writing your lovely words and posting your beautiful photographs. @Elaine, Thank you Elaine. I could never turn my back on the people that lurk and type from the other side of my screen. I keep saving this post in my reader to give it a proper read… and I finally have. I mostly want to say you matter to me too. You, and that baby with the chubby belly, and that girl with the curly locks. It brightens my day to see you pop up in my reader… or on my facebook. I’m so happy that all of these years later we’re still connected by this crazy internet. I missed this the first time around perhaps because according to my calendar on the 10th I was at Animal Kingdom. I’m so glad you linked back to this so I could read it. I’ve been blogging a long time but only really aware of the whole community and world of blogging for the last year or so. Before it was my words and my friend’s eyes. Now, there’s all this hierarchy and exclusivity that I can’t stand. The endless popularity contest. It gets hard to feel like your words matter when mixed in with 1000s of others and their words. I completely understand how people quit. But this for me was never about popularity or money or endorsements. Its about my words. Though I won’t deny I wish there were more friend’s eyes that read them. @Marta, ALSO. I comment on every blog post I read. If I didn’t comment it was because I didn’t read it. I wish commenting was a regular part of everyone’s reading habits!